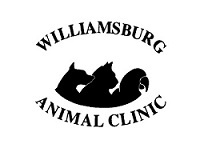 posted: October 26, 2016 by: Williamsburg Animal Clinic LLC Tags: "Clinic Specials" "News"
Pet insurance can help defray the costs of regular veterinary care and provide financial support for the treatment of serious injuries and illness. Insurance coverage for pets is mainly a reimbursement insurance policy. Some plans provide coverage for everything from routine wellness exams to chemotherapy, while other plans only cover emergencies or illness. In most cases pet insurance is very affordable and can help keep your pet healthy and your family happy. The following website will help you compare and contrast some of the Pet Insurance plans available in Massachusetts. We recommend Trupanion™ health insurance.